Blog My pins are a HOW Award Winner! My pins are a HOW Award Winner! I can’t even BELIEVE IT. It feels really good to see a passion project of mine get recognized! It was just something I wanted to do, that lived inside my head, and people like it! 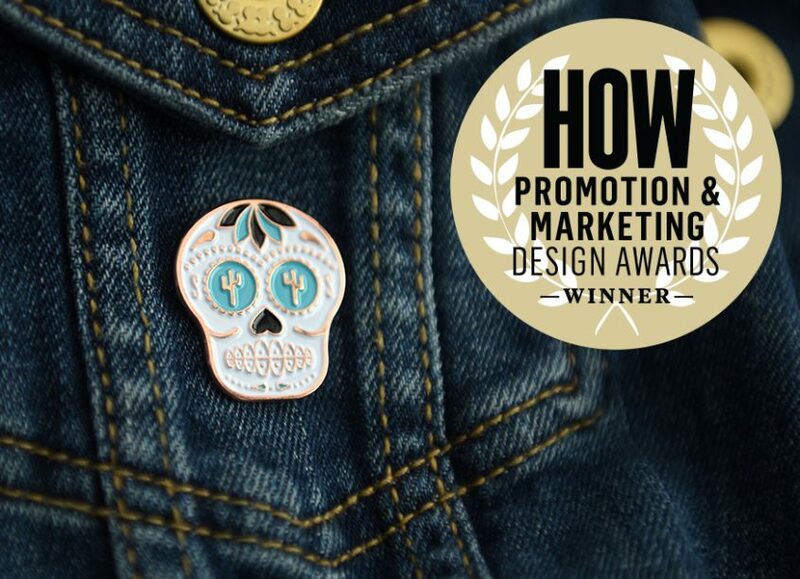 I entered the HOW Promotion & Marketing Design Awards on a whim, because I love these pins and the response has been good when I hand them out. 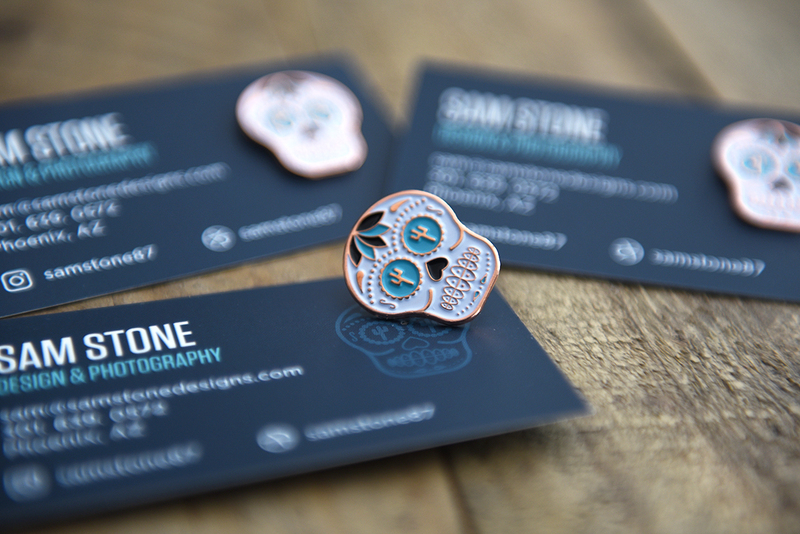 I go into more detail on the thought process behind my pins here, in my portfolio. 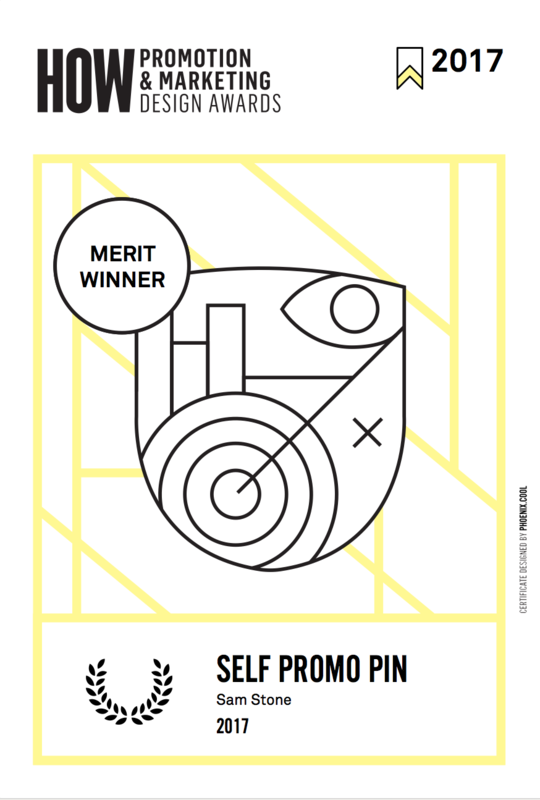 [Cincinnati]—Self Promo Pin, a project developed by Sam Stone, was chosen as a Merit winner out of 81 award-winning designs in the most recent HOW Promotion & Marketing Design Awards. This prestigious competition sponsored by HOW magazine is the only award that specifically recognizes the best promotional design. HOW’s editorial and design team—along with judges Yo Santosa, Charles S. Anderson and Maurice Cherry—selected the winning projects that will gain international exposure in the Fall 2017 issue of the award-winning HOW magazine and “http://www.howdesign.com/promotion-design-awards-winners-self-promotion/” online at HOWDesign.com. Also included in the little winner promo package was this sweet certificate designed by Phoenix.cool which I totally plan on shamelessly hanging in my home office. Can’t wait to see this all featured in print this September in the Fall 2017 issue of HOW magazine! Woohoo!